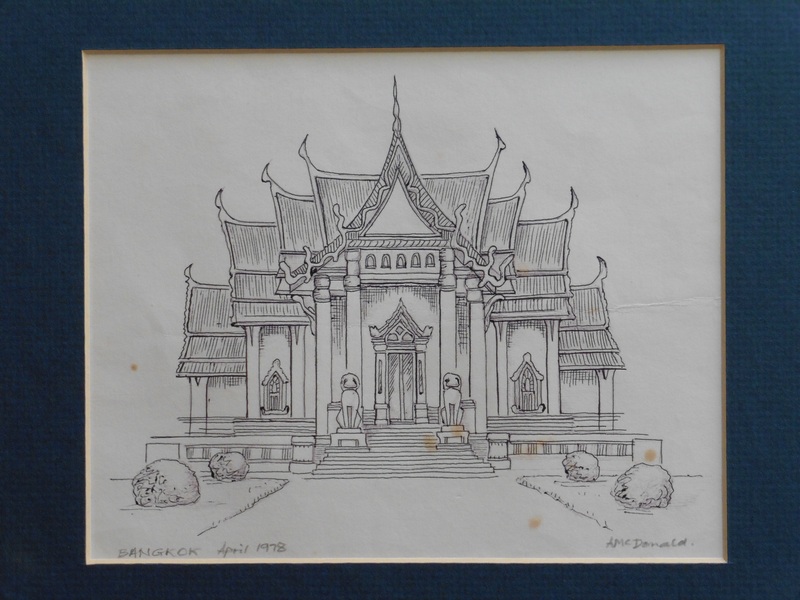 Sketched this in Bangkok in April 1978. Since then, the blue ballpoint ink almost completely faded and acid spots have come through the paper. So have just re-inked it. Should see me out!